This weekend I fullfilled a long dream of Three. And I won’t lie. A life long longing of my own. 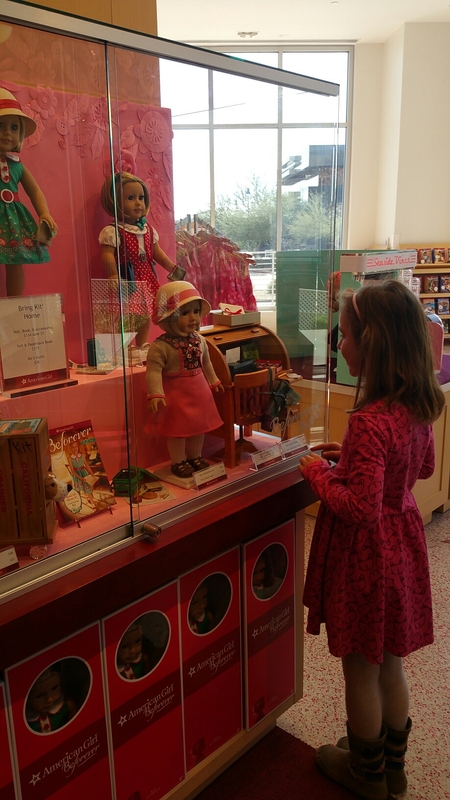 We went to the American Girl Doll Boutique. It was delightful. A little overwhelming because ALL THE CHOICES but Three was absolutely in little 8 year old girl heaven. And I was over the moon, too. 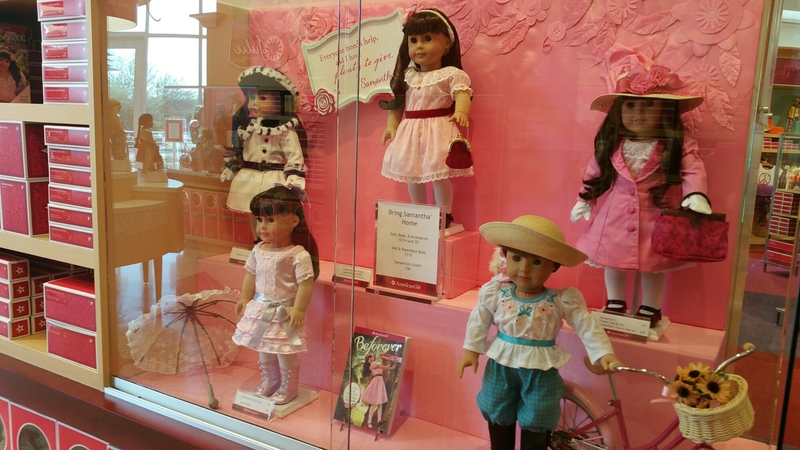 I alway wanted an American Girl doll. I poured over the catalogs. 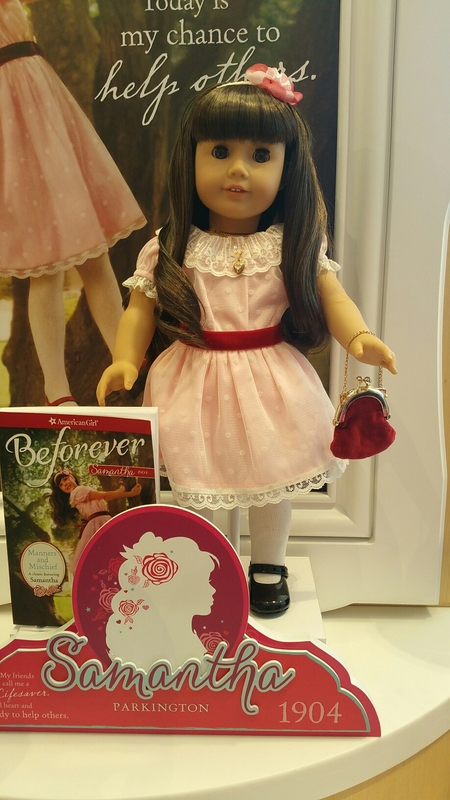 I read the books that the dolls inspired… inspiring a life long love for historical fiction. Samantha, Kit Kittridge, Addy! I really loved the costumes. However, my mom had a bunch of us to support on her own. There was no doll for me. These dolls are expensive. They cost a pretty penny. They are quality dolls. However, as a family of 7 with a scrambled together income while Dad is finishing his degree it isnt something we can just do. So, we made a deal with Three. 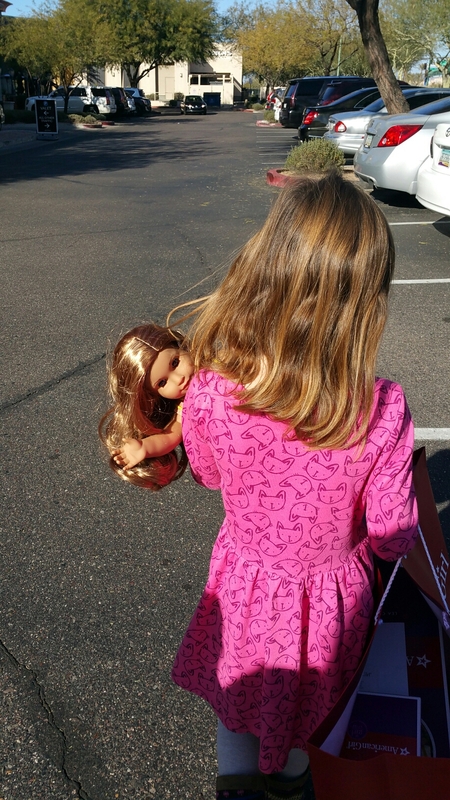 If she saved her allowance and could pay for 1/2 the doll her aunt and mom and dad would pay for the other half. Teaching these five humans about working hard and making good choices is really important to us. Starting in kindergarten they get one dollar per school day, payable at the end of the semester after graded come out. Must attend the entire day. Must complete work day chores. If they have below a B they owe us 10 dollars. If they are caught: lying, stealing, cheating or other infractions they lose that weeks allowance. They must save up for a goal. Three accomplished that. She set her goal and worked hard to achieve it. We are so proud of her. The store was amazing. Every thing she dreamed of. She knew what she wanted before we walked into the door. But as soon as she walked in she was like a kid in… a toy store. After an hour and a half she decided on Lea Clark. Lea is from Missouri. The state we lived in for nearly 4 years while Daddy served on active duty in the army. She travels. She loves animals. She is brave. She has the same hair color as Three. Lea is just right for Three. Three is still a sweet innocent child despite suddenly being picky about fashion. Despite what the world around us seems like. 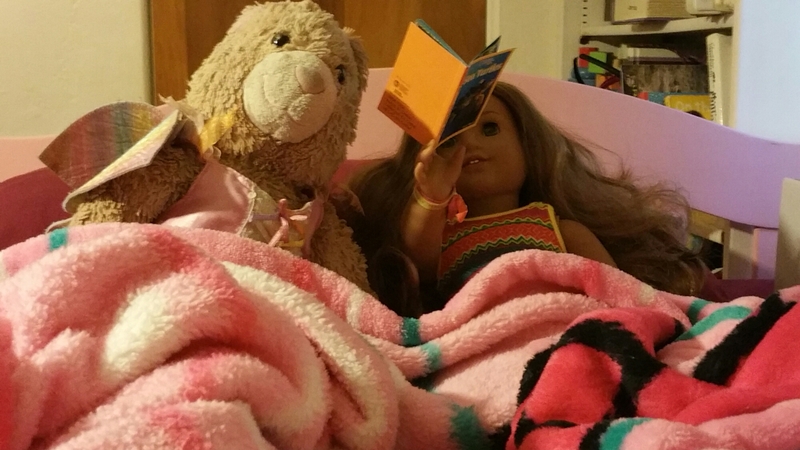 Lea and Bunny reading while their girl is at school.